1. 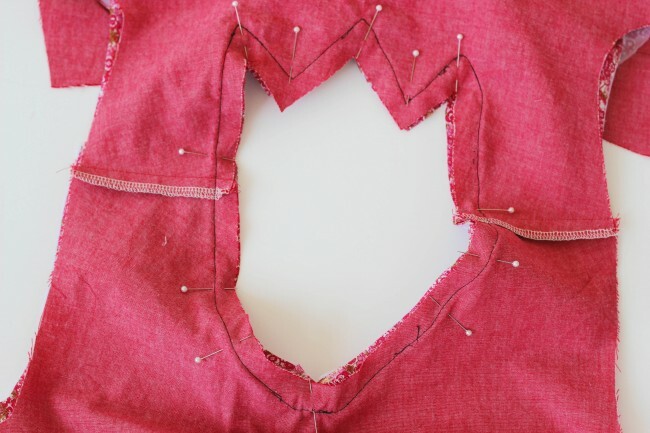 Stitch the facing pieces together at the shoulders, and press the seams open. 2. 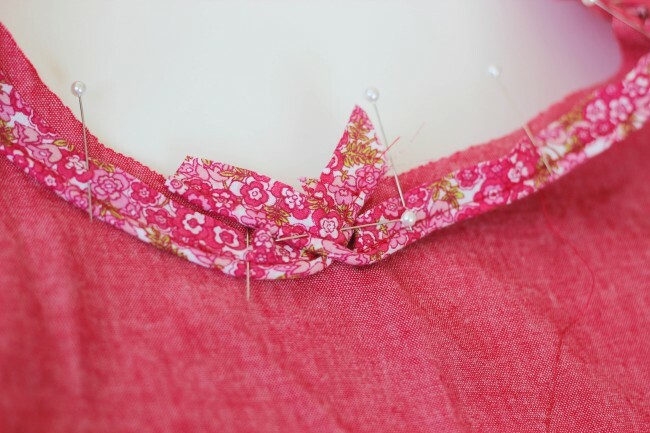 Now you want to mark the seam of the neckline on your bodice, which is 5/8″ from the edge. Remember, you’ve already stitched the front and back bodice together at the shoulders in our last installment. You can mark the seamline in any number of ways. Chalk and a ruler is find. But I prefer to simply stitch a line of basting all the way around the neckline. 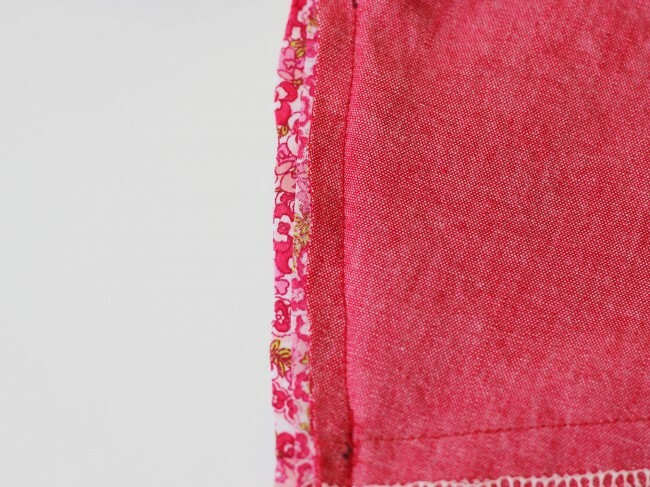 It’s a super fast way to mark a seam allowance, since your sewing machine basically does the measuring for you. I’m going to be using piping for mine. If you’re not using it, you can skip the piping steps. 3. 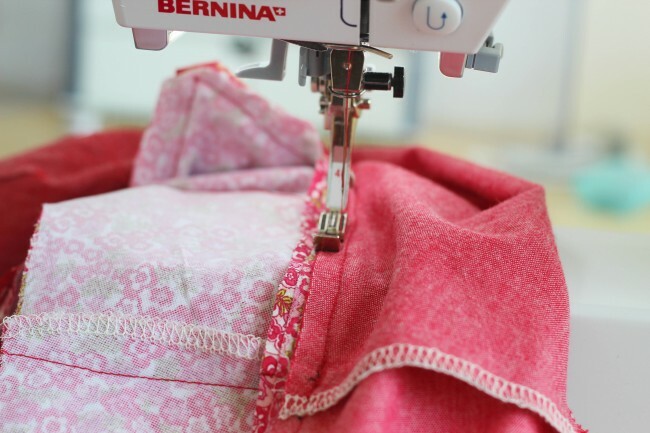 Take your piping, and pin it all around the neckline on the right side of the bodice, aligning the stitching on the piping (right next to the cord) with the seamline you’ve just marked. Use plenty of pins to hold it in place. 4. 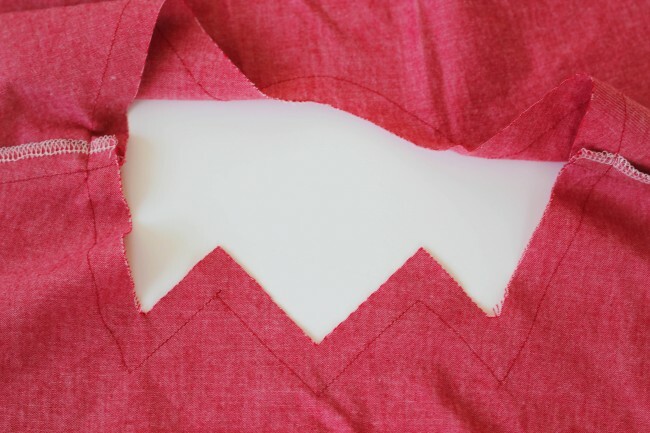 When you reach an inner corner like this with your piping, you can simply fold the piping seam allowance (as shown above) to get a nice point. 5. 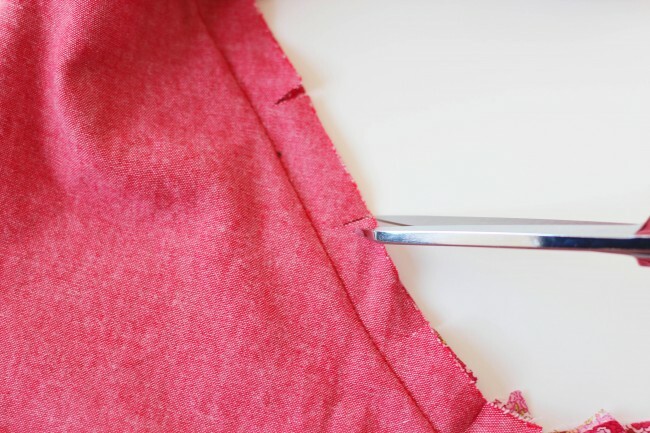 For an outer corner, clip the piping seam allowance to get it to bend around the tip of the point. 6. Overlap the piping at the center back, as shown. Make sure the ends point toward the edge, as shown above. Pin in place securely. 7. 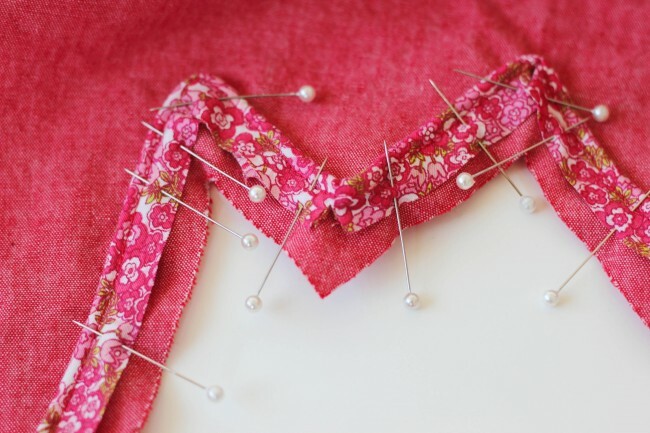 Baste the piping to the neckline using a contrast color thread. Here, I’m going to use a black thread. Here’s how it will look on the wrong side of the bodice. You can clearly see the stitches from this side, which will make it very easy to sew later. 8. 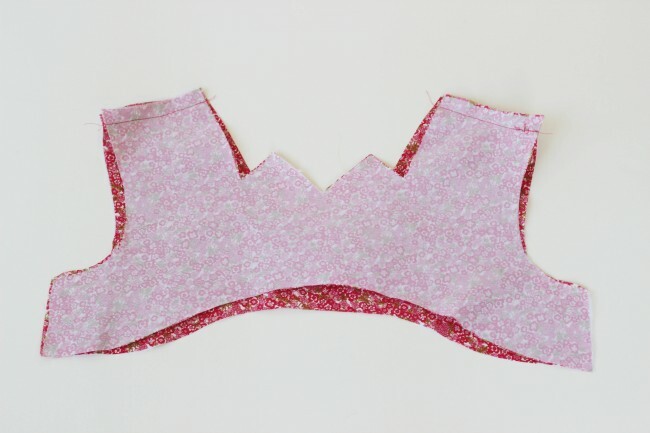 With right sides together, pin the facing to the bodice. You should now have the piping sandwiched between the bodice and the facing. Pin with the bodice facing up, towards you. This is because you’ll be stitching from the bodice side (not the facing side), so you want to be able to remove the pins easily. Here’s how it looks from the facing side. 9. 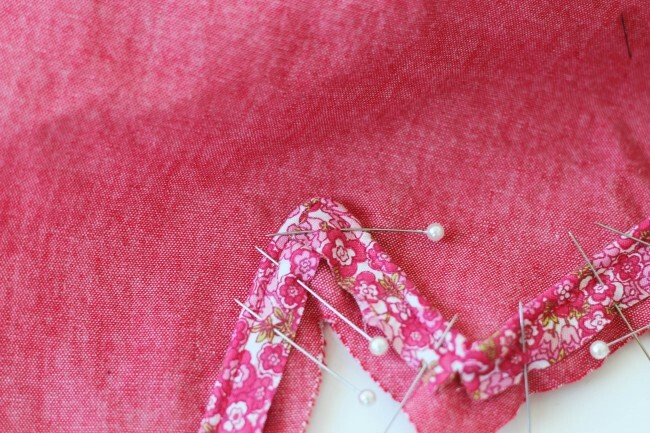 Using matching thread, stitch the bodice to the facing. 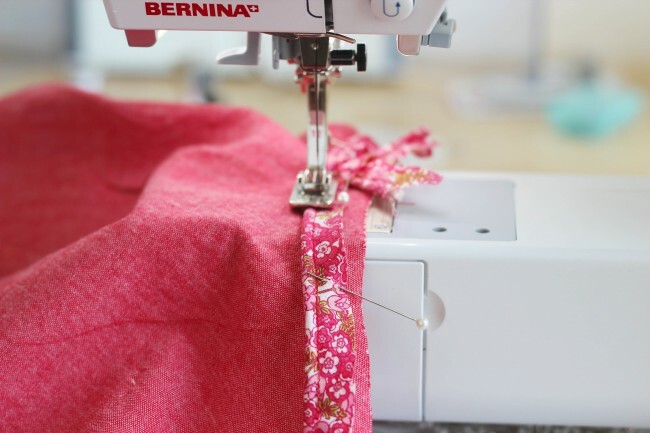 Stitch directly over your contrasting basting stitches. 10. Remove all of the basting. 11. 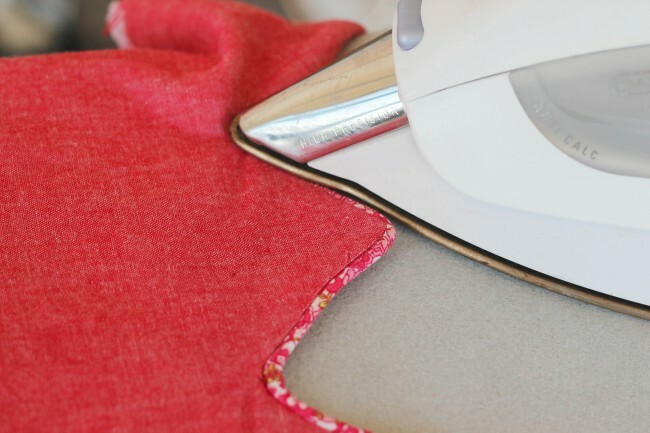 Clip the corners of the collar points, and clip into the inner corners to make this easier to turn. I actually ended up clipping away a bit more from the collar points than this. 12. 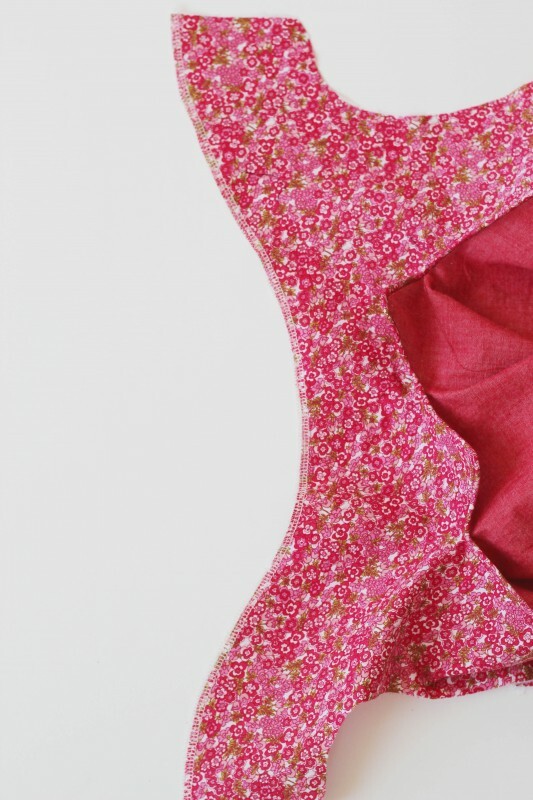 Clip around the inner curves of the neckline, all the way around. 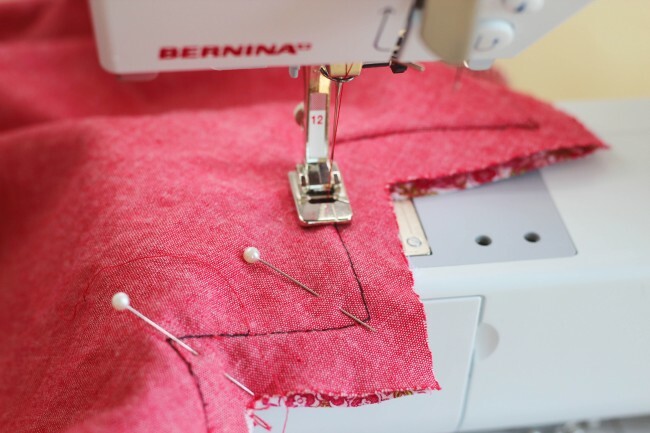 Clipping the inner curves will help your turn the seam out. 13. Grade the seam. To do this, I trimmed the neckline seam a little. Then I trimmed the seam allowance of the bodice (but not the facing) by about half. Trimming the seam allowance to different widths like this keeps it from being too bulky. 14. Now we’re going to understitch the seam allowance. 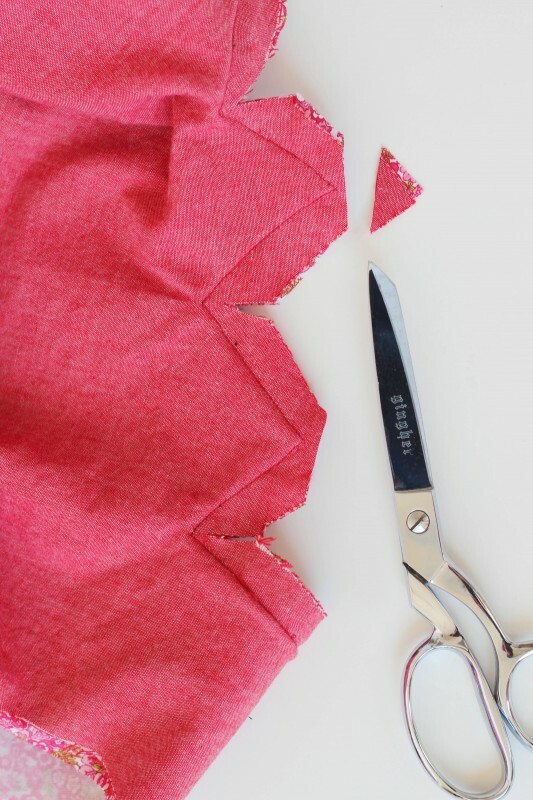 To do this, first press the neckline seam allowance toward the facing. As the pattern states, you won’t be able to understitch the collar area of the neckline. So just try to understitch up to that area. 15. Understitch the facing. 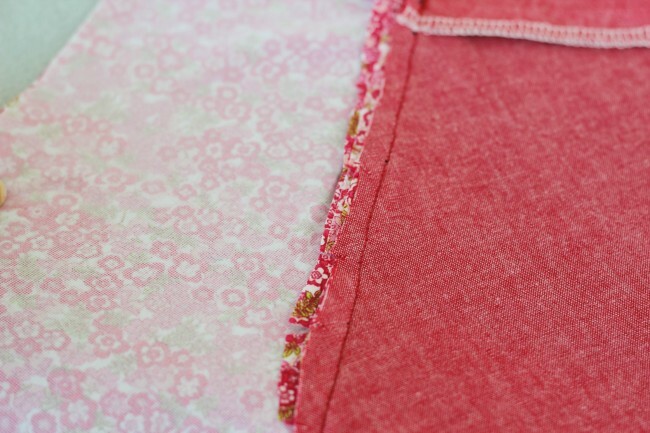 To do this, stitch the seam allowance to the facing, close to the stitching line. 16. 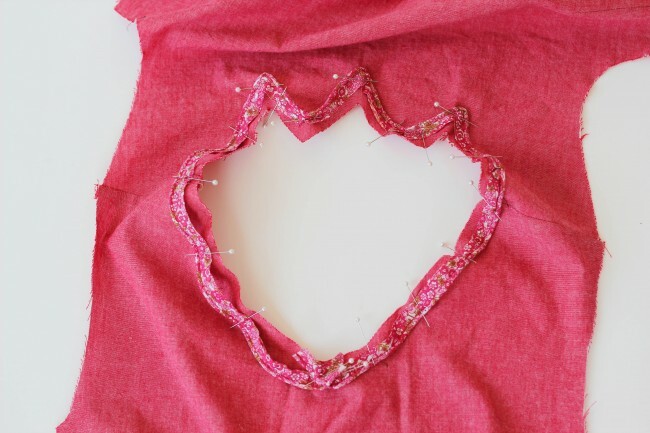 Turn the bodice and facing right side out and press. You might want to use a bamboo point turner to get crisp points on those collars! 17. You might want to finish the lower edges of the facing pieces now. Try a finish that isn’t too bulky, such as pinking, serging, or zigzagging. Now we’re ready for the all-in-one facing trickery! 18. 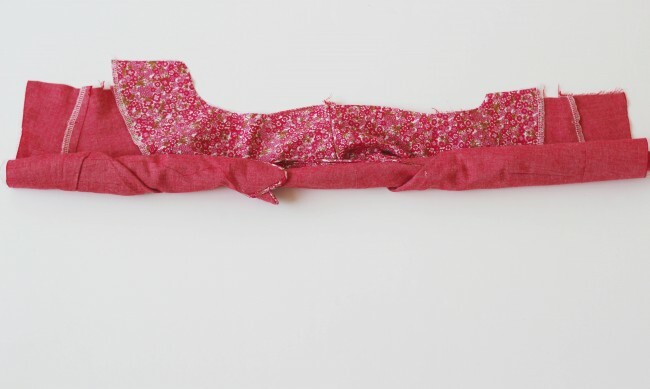 First, lay your bodice out flat, as shown. The bodice and facing should be neatly aligned, with the facing on top. 19. Roll the bodice facing from one armhole edge, towards the other armhole edge. 20. Now we’re going to flip the facing underneath. 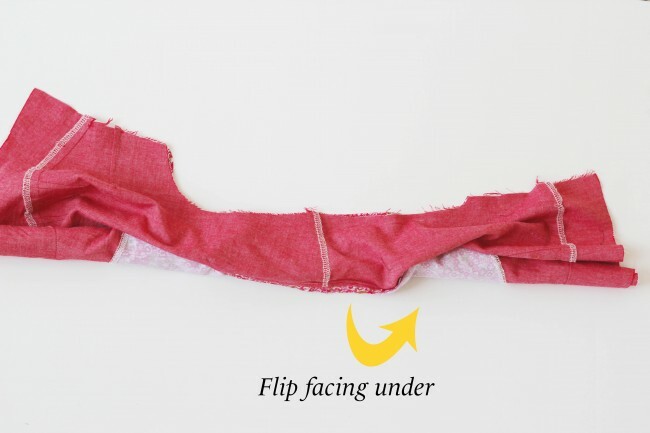 To start, flip the facing out as shown. 21. 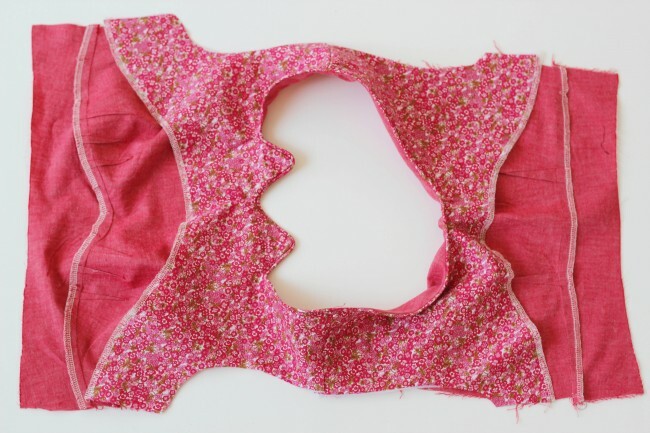 Next, flip the facing under and align the armhole edges of the bodice and facing. The right sides should be together. 22. 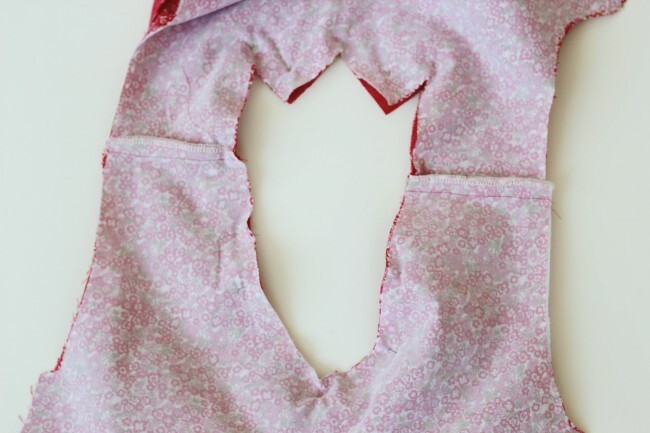 Stitch the bodice to the facing along the armhole. 23. 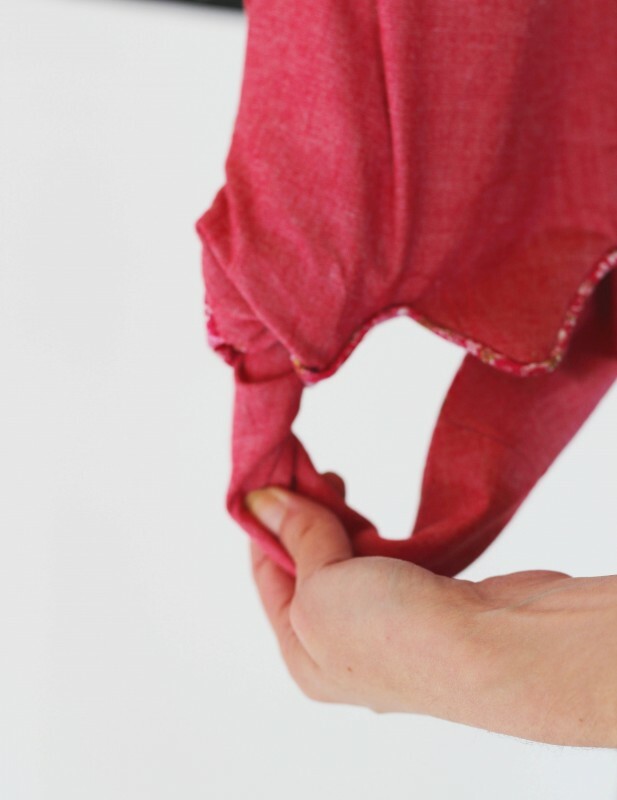 Pull the garment through the shoulder area in order to pull it right side out. 24. 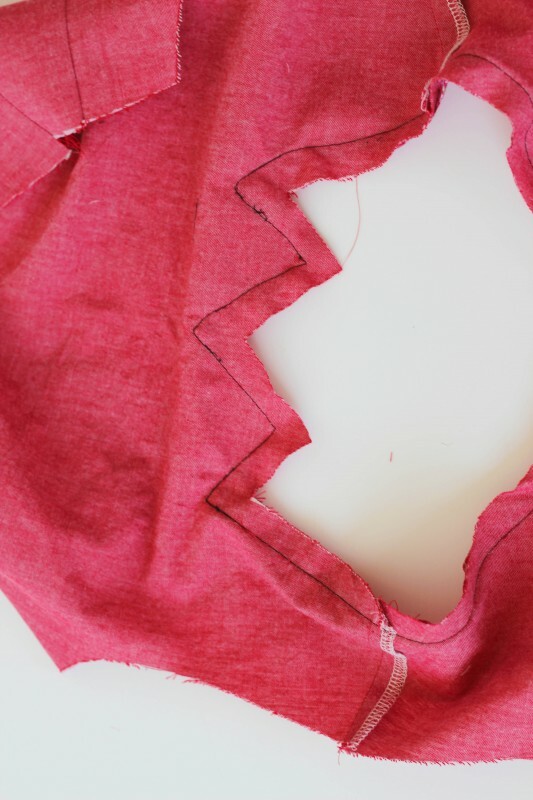 Stitch the second armhole in the same manner (steps 18-23). 25. 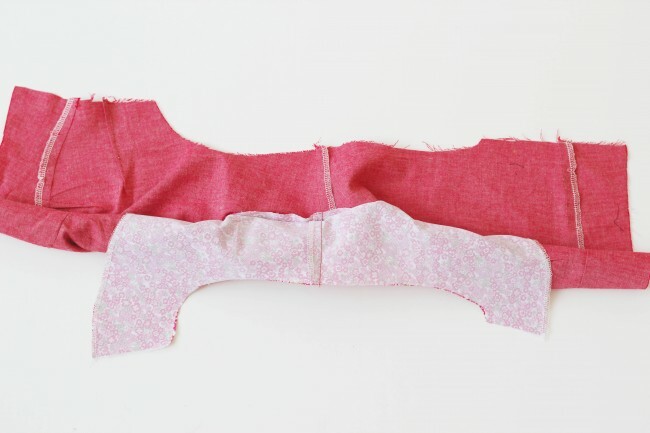 With right sides together, stitch the right side seam of the bodice. Stitch in one continuous seam, stitching the front of the bodice to the back of the bodice, and the front facing to the back facing. That’s it! 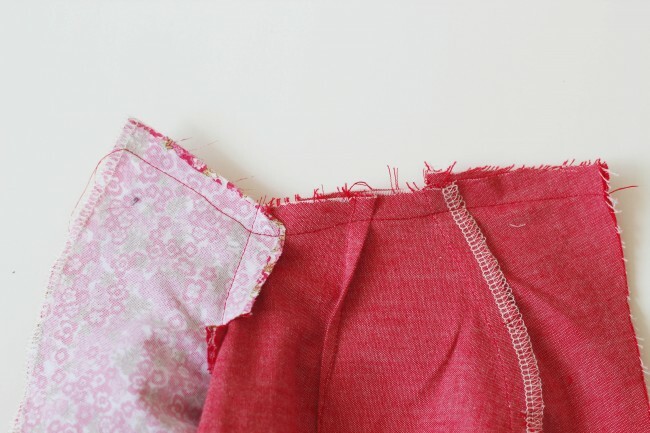 Next up, we’re going to be discussing sewing the pockets on Friday! Beautifully explained .. I’ve been dwelling on All In One Facings of late, and I actually had a sheet of explanations (from an ex- Fashion teacher) for the method of trickery that you have shown here – except it made no sense at all to me – how timely that you have documented each step – can’t wait to try it. Keep up the great work! Thanks so much! Aaaah, I hope I can get to this point sometime this week. I’m still working on the muslin because…I have way too many alterations to make. I’m super petite so I did an SBA (which helped) but the neckline gaps like crazy due to my hollow chest. Armholes are also too tight. I did two muslins but I need to do a third. Hopefully not a fourth! Perfect timing! I had just reached this point and have to admit when I first read instructions I was stumped. Once I figured out what I was supposed 2 b doing I was really happy , this is a great method! Sarai, thank you so much! I bought the pattern to make for my partner coincidentally the day the sewalong started and, being spacially challenged, just didn’t get this step. After two muslins to work out how her tiny hips were going to few in a less-than size 0 pattern, I am finally up to this step and am thrilled at how well it turned out! I even managed a strong gin between the piping and the all in one facing and it still turned out beautifully! I can’t thank you enough for your generous advice! fingers crossed the skirt looks as good! I have a silly question – would this technique work with sleeves? I tried to assemble a garment like this in my head (yes, I’m weird like that) but I can’t seem to figure out if it would work or not! It’t not really necessary if your garment has sleeves! 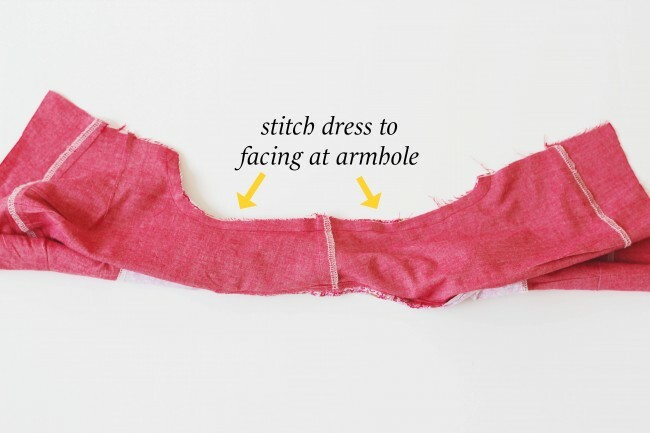 This technique is great because it stitches the armhole to the facing while still letting you turn the facing out. If you’re going to set in sleeves, there’s no need to stitch the armholes, so it’s actually easier. Hi, is there supposed to be no pictures in this tutorial? When you refer to ‘as shown above’ i only see text, no pictures? Petra, we had a bug earlier today with photos, but it’s fixed now. hi i was wondering if you stitch over the basting how is it easy to get the basting out i usually end up snagging things because its never easy to get at once you stich over it……any suggestions? If you use a basting thread in the same color, it’ll be less important to remove it. Using a very long stitch length for the basting might also help. Just tried this for the first time on a Sorbetto, as I don’t like a bias binding finish. It was surprisingly easy, and gives a lovely finish. I can see this being a technique I use a lot. Thanks for the great tutorial.